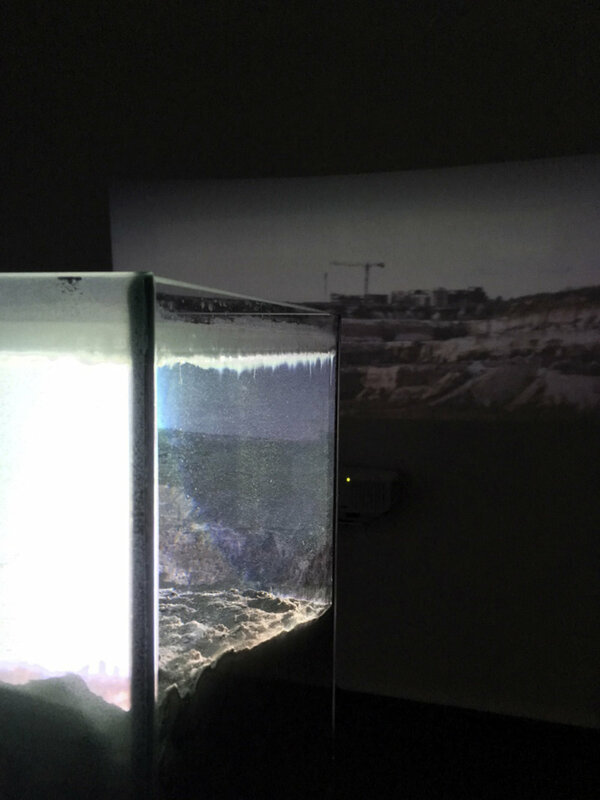 Materials: Glass tank,water, gravel, cement, projector, photograph. 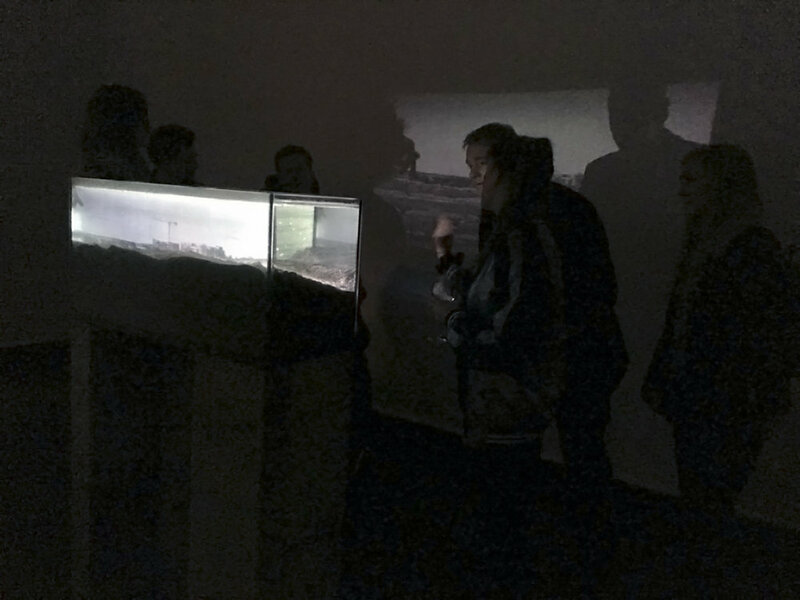 The work is based on a photograph of a man altered landscape: from the remains of a limestone quarry, (now turned back into a nature reservation protected from human interaction). 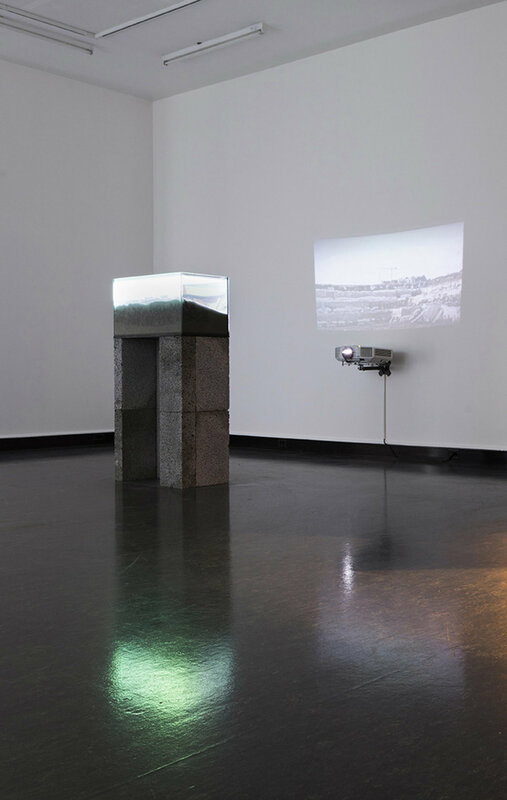 This image is projected on to a water tank filled with cement, pebble stone and water in the ratio as if you were to mix concrete. Inside the tank is crated something like a natural landscape, almost dystopian in character, reflecting on the ruins of a man made landscape and the forever dichoptic relations between nature and culture.